Most professionals involved with dogs have fabulous and extremely well behaved dogs. How did they get there, you’d ask? Years and years are spent achieving what works best and what is done with ease, so why not try and do it under supervision; after all, we can’t just naturally all be good at everything. Dog ownership is a costly hobby, because it involves many skills and specialist knowledge to give best and most satisfying results. 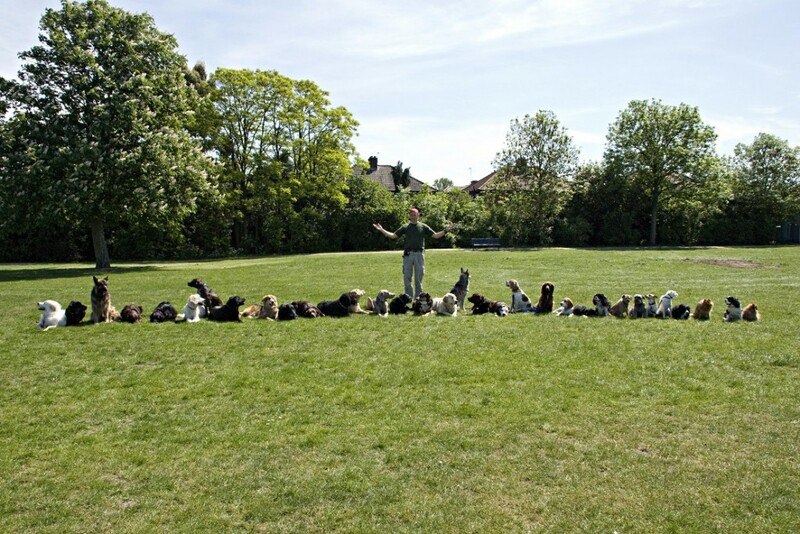 These sessions are booked individually, subject to availability, held in some parks and open spaces around North and North-West London, at times in busy urban areas or other special locations depending on client’s wishes and requests; and are tailored to meet dog’s specific needs. Fees: £60 for an hour and half training. Owners’ presence is preferred. We do not believe in “Board & Train” scam – be your own dog’s trainer instead! and familiarise yourself with the Handfeeding Technique – we take great pride in Handfeeding as our master principle and it may save you quite a bit of time and money when you do it prior to booking a session with us – after all, happy to please, keen and attentive as well as positive towards training situations dog is going to be a much better student! Run specially for those who can not travel, have problem with a dog at home setting or puppies that are too small to go out yet (please note we prefer to start training at the earliest opportunity). There’s a £15 supplement on the top of normal 1-2-1 class fee to cover traveling time and expenses. Also subject to availability and area covered. Please note that 2 days notice is required for all cancellations / changes of time or day for a booked training class in order to avoid cancellation charges – 30% of the session fee is payable for cancellation up to 1 day in advance of a slot booked and 50% is chargeable for shorter notices. Full fee is payable for no-shows or cancellations on the day of the class. Our new indoor classes resume on the 10th January! Next Puppy group class start date is 10th January also! Advanced class follows from 8 pm. Attention – our Puppy Group is only open to pups under 6 months of age, and their owners willing to learn the Handfeeding way of training dogs and have fun with their pet dogs. Please register to avoid missing out! Other classes – you are welcome to join at any time. Puppy Dogs Classes (under 6 months of age only) – 7:00pm to 8:00pm £60 course fee, course of 7 weeks including assessment and certification. Clever Cloggs (Please feel free to join if you feel that you and your dog is ready for this challenging class! ), 8:00pm to 9:00pm – £5.00, pay as you train. Please note that Handfeeding principle does not mean that you bring your dog to training classes hungry. We are talking about the philosophy, principle and habit that you want to develop in your dog, not a magic cure. Whether you are now the lucky and proud owner of a “Southridge Dog”, or whether your own dog needs some training, start off on the right paw and attend our fortnightly dog training classes. All sizes and ages are welcome. The training classes are held every other Saturday at Southridge, beginning promptly at 9.00am and finishing at 11.00am. The classes are run by Mr Dima Yeremenko (Good Boy Dog School). Each session cost £7.50 which is payable at the end of the class. The classes will give you an opportunity to train and socialize your dog in a professional but friendly and relaxed environment. PLEASE COME ALONG AND JOIN IN – YOU WILL BE BARKING MAD IF YOU DON’T!!! Southridge Animal Centre Dog training and socialization classes. Please note that Open air Socialization classes in Hendon, Sunny Hill Park, NW4, are held on the same dates from 12 noon till 1:45 and are currently offered free of charge. This is a “train-yourself” class, where we try to give you as much guidance and advice, with a format of a social gathering, or a Club Meeting of the Good Boys out in an open air. Many return trainees pop in to brush up on their dog training and some newcomers choose to bring a chair and observe what and how it’s done the Handfeeding way! Please feel welcome at all of our group classes! Interesting one – shall we moist the dry food? A quick FAQ: When do I start on my pup? I don’t want to do it too early! -Well, you are already late! And What is it that you suppose to Handfeed your dog? Video 3: Bettie’s 7th day of Handfeeding – skills of a 3 month old pup are amazing to my opinion – now she’s becoming reliable, well focused and predictably keen to follow instructions and want to learn more! Video 6 – Crate training for little Bettie – Handfeeding way to teach your dog to love their crate and everything about it. Video 8 – is our final homemade clip of 3 weeks Bettie spent with us learning to live “Handfeeding” way. Not many trainers use the lead only as a safety tool by maintaining it loose at all times. Bettie’s not pulled on the leash once in 3 weeks here and not had the leash used for any other form of training! Video 9 – Distance proofing, Ted the Schnauzer, is demonstrating the vital part of dog training – removing the handler / dog = building up the distance between the two. What can your dog do from a step or two away? What about the other end of the room / field? This little puppy Ringo has completed his 4 weeks Handfeeding course a couple of weeks ago and is going back to his owners today. He’s 5 months old now! See how dependent on food and commands he’s become, his attitude towards instructions and obedience and willingness to work and to please. Great puppy, and is set for life now! Looking for some homework with your pooch? Stuck for answers on how to… or just looking for something to do ease your pain when dog training? Then click on http://clicketyclips.com/channel/hand-feeding – our new partners, Clickety Clips webgroup. 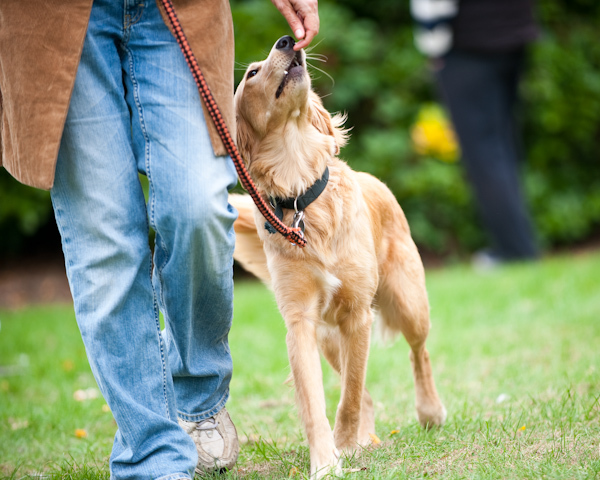 Basic and on-going training will be provided to all the dogs involved in our daily group walks. Socialising him / her will also never be this easy as we have a team of highly skilled dog trainers / handlers to help you with all your dog needs. Please see our Dog Walking page and give us a try! Our pack is our pride and joy!